﻿ A Survey on Implementation for the Autonomous Pill Dispenser to Remind Medication with Alarm and Mobile Notifications. Pallavi Baviskar, Vrunda Chaudhari, Varsha Fand, Manali Kulkarni, Reshma Madane , " A Survey on Implementation for the Autonomous Pill Dispenser to Remind Medication with Alarm and Mobile Notifications." 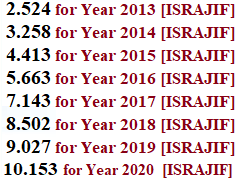 , International Journal of Emerging Trends & Technology in Computer Science (IJETTCS) , Volume 8, Issue 2, March - April 2019 , pp. 011-013 , ISSN 2278-6856.